Less than third of a gram! PowerStream has been working with a team of engineers in China to develop the lowest weight lithium ion batteries. 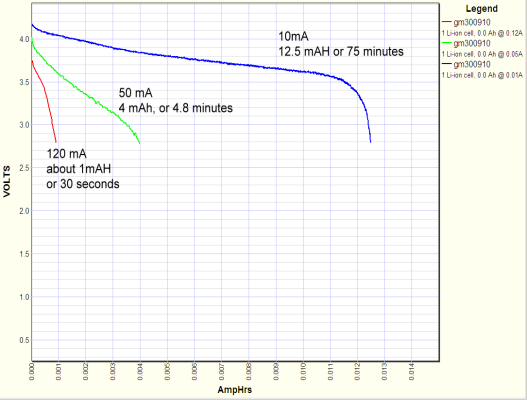 We can now offer design engineers batteries of down to a mass of 330 mg. 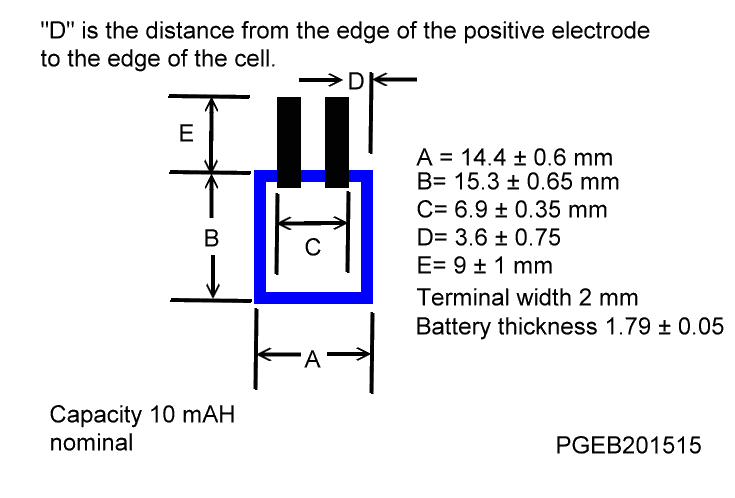 These cells should be useful for sensor, tags, and ultra-light models. 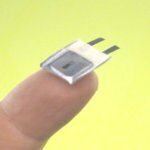 Though these cells have small capacities--they have about the same capacity as coin and button cells--they have a wide range of applications. There are microcontrollers that draw less than 1 microamp, such as the TI MSP430 in standby mode, so a 10 mAH battery could run these for 5 months between charges. Ultra-lightweight cells can be used for military, sensors, tags, and cards. They can be made in the ultra-thin or the multilayer technologies. Weight: These weigh about 330mg as-shipped. By removing the masking tape that protects the leads and shortening the leads they can be easily be lightened to about 320 mg. It is not recommended to trim down the flange area because it can severely shorten the life of the cell (or kill it), but if this is done the cells can usually be brought down lower. These are great cells. 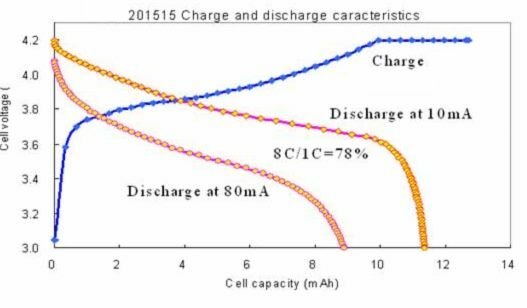 They are designed for low current discharge, but the above curve shows what they do at high current discharge rates, up to 8C. Even at 80 mA (8C) there is enough energy for over 40,000 pulses, 100 mSec each.